Muscle pulls are very frequent. In addition, it is usual that they happen suddenly by some movement, although it is not abrupt, or simply by being a long time in the same position and then changing it, among other situations in which they can occur and that also include sports or physical exercise. Whatever the cause, it is a problem that has a solution. However, it is true that it is annoying because it is usually quite painful. And, although they can occur in various parts of the body, the truth is that muscle pulls are more common in the calf. we are going to tell you how to heal a calf pull, in addition to explaining the main causes and symptoms and how you can recover your daily activity again, after having had a muscular pull. 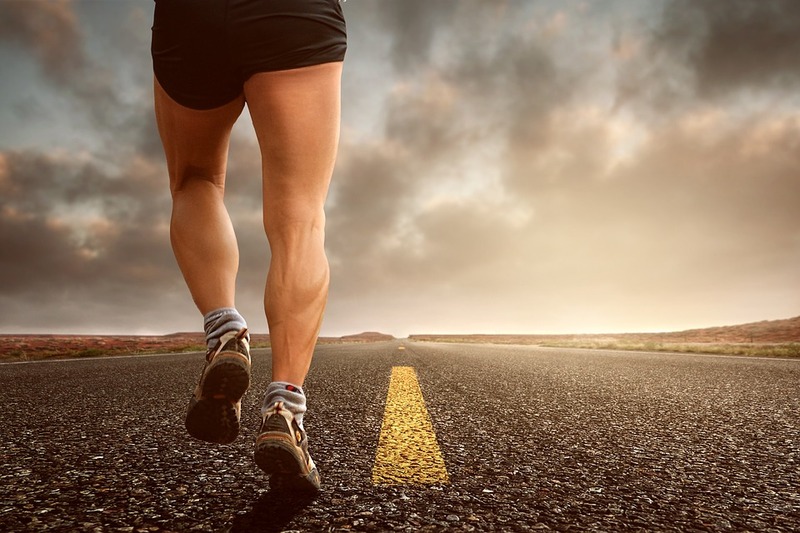 The calf pulls usually occur during the practice of some sport or physical exercise , being more usual in those sports activities that require to push quickly with the foot to begin to run or to accelerate as, for example, it happens in soccer. Acute injury: is one in which the muscle pull in the calf occurs suddenly. Overuse injury: in this case, the muscle pull occurs with the passage of time, for example, because you have not taken good care of your muscles or have not stretched after sports training. Symptoms may vary depending on the injury or distension, although in general, what you notice is a twinge of pain, which varies depending on the severity, since you may even have difficulty walking and get to notice the discomfort with great intensity . Rest the affected leg: you have to try not to make efforts for at least two days. If it has been very light, surely, in one day you will notice better. You do not have to practice sports, not even walk a lot, until the pain has completely disappeared. Elevate the leg: it is important that 24 hours after the muscle pull, the leg is raised above the height of the heart to avoid inflammation. Putting ice: the ice is wrapped in a towel or cloth in the area between 10 or 20 minutes to reduce inflammation. This process can be repeated up to four times a day for the duration of the injury. Bandage: Elastic compression bandages are helpful in relieving and healing the calf pull , as they prevent further inflammation. It is essential to use the bandage from the sole of the feet to the leg. You also have to be careful not to squeeze too much. Pain: if you have a lot of pain, you can take some medication, although it is better not to take aspirin or ibuprofen because they interfere with the blood clotting process. This is important for rest and to avoid problems and complications. Heat: although it is not good to apply it during the first days -it is better to let a minimum of five pass-, then it must be put in the area through electric blankets of dry heat at the moment in which it returns to the daily activity and, especially, if you practice physical exercise or sport. Strengthening: it is key to begin to strengthen the calf muscles after the days of rest. To do this, you should follow exercises that the doctor should recommend, especially to prevent future health problems in this area and other complications. Here you can learn some Exercises to strengthen the twins at home. Elongation: it is also important to work on elongation and muscle elasticity to avoid subsequent pulls and reduce the likelihood of injury. In this case, again, medical or physiotherapist guidelines must be followed. With these tips on how to heal a calf strain, we hope from a COMO to have helped you to know what you can do when it happens. It is always recommended that you go to the doctor to rule out another type of injury or problem in the calf. Also, if it is a pull, you can indicate the guidelines and care you should follow in your recovery. This article is merely informative, in a HOW we do not have the power to prescribe any medical treatment or make any kind of diagnosis. We invite you to go to a doctor in case of presenting any type of condition or discomfort.